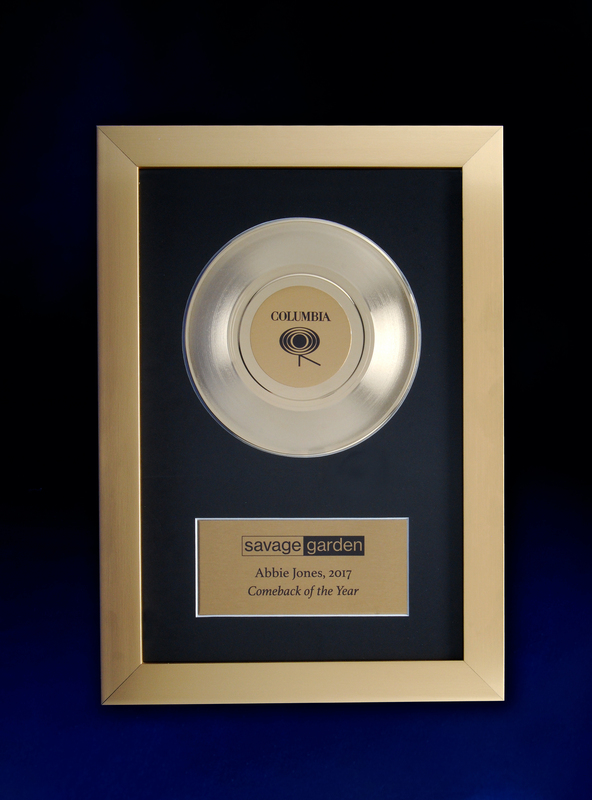 Gold Plated Record in quality gold timber frame and black backing board as stocked style. The label and base plate can be printed in full colour. 435mm x 560mm frame with and 235mm x 110mm plate cut in for inscription. 250mm x 384mm frame with and 160mm x 75mm plate cut in for inscription. Customisation of the Frame and layout can be done however this will incur customisation fees and production time of 2-3 weeks. The framed records arrived yesterday and they look AMAZING!! Thank you so much for your patience with me and for all of your assistance! I will be much more organised next year when I order I promise!